Range Rover Classic 3.9 Coolant ReservoirGood used condition,No leaks, complete with cap.. Range Rover Classic 3.9 Screen Wash Reservoir And Motors PO5677Good used working conditionAs shown i.. Range Rover Classic 3.9 Screen Wash Reservoir And ..
Land Rover Range Rover Classic Bottom Hose 722x92 35 b3In good used condition free UK mainland..
Land Rover Range Rover Classic Coolant Reservoir.In good used condition with free UK Mainland delive..
Land Rover Range Rover Classic Dashboard TrimIn good used condition with free UK mainland.. Range Rover Classic Front HeadlightGood used condition,Complete with wires..
Land Rover Range Rover Front Light Guard Nearsaide / Passenger sideIn good used condition Free.. 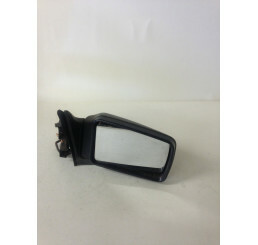 Range Rover Classic Front Light Guard Offside In good used condition with free UK Mainland delivery.. Range Rover Classic pair of front light guards.In good used condition and work as they sh..
Land Rover Classic Fuel Cap SwitchIn good used condition.Free UK Mainland delivery. Pleas..
Land Rover Range Rover Classic Head Lamp.In good used condition.Free UK Mainland Delivery.&nbs..
Land Rover Range Rover Classic Ignition Surround.In good used condition with free UK Mainland delive.. Range Rover Classic nearside/passenger side Side light in good used complete condition wi.. Range Rover Classic Nearside/Passenger Side Rear Light LensGood used conditionNo cracks or damage.. Range Rover Classic Nearside/Passenger Side Rear L.. Range Rover Classic Offside / Driver Side Rear Light PRC8952Good used working conditionNo cracks or .. Range Rover Classic Offside / Driver Side Rear Lig.. Range Rover Classic Offside / Drivers Side HeadlightGood used conditionComplete with cable as shown .. Range Rover Classic Offside / Drivers Side Headlig.. Range Rover Classic Offside/Driverside Side Light in good used condition with no cracks and wo.. Range Rover Classic Top Hose, in good used condition no splits, and works as it should.Free UK.. Range Rover Classic V8 3.9 AlternatorGood used working condition,Removed from E Reg Range Rover Clas.. Range Rover Classic V8 3.9 StarterGood used working condition,Removed from E Reg Range Rover Classic.. Range Rover Classic V8 ETC9005 3.9 Air Conditioning PumpGood used working condition,Removed fr.. Range Rover Classic V8 ETC9005 3.9 Air Conditioni..